Mediation Category Archives — Long Island Family Law and Mediation Blog Published by New York, Family Attorney — Law and Mediation Office of Darren M. Shapiro, P.C. In recent blog posts, I have discussed the concept of separation agreements, used both as a way to give couples a break when they’re not sure whether they want to end their marriage and as a precursor or first step in full divorce experience that ensues immediately thereafter. A separation agreement is a document that outlines various answers to questions that a couple might have at the end of their marriage. For instance, your separation agreement might dictate what’s going to happen to your family home when your divorce is final, or who will be responsible for having custody of the children. What Needs to Be Included in a Separation Agreement? In a previous blog post, I spoke about separation agreements, and how they can sometimes be helpful, regardless of whether or not a couple decides to progress with their divorce. While there doesn’t necessarily need to be a legal agreement written up for people to start living apart and to say how parties should act during their separation. These kinds of agreements, however, can be helpful in some circumstances legally. Many couples find that going through the details of their separation with a divorce attorney or divorce mediator, like me, can help them to protect their rights, improve the predictability of the experience and eliminate unnecessary arguments. Should I do a Separation Agreement Before My Divorce? It’s common for couples to think of separation agreements and divorce as two separate options when it comes to ending a marriage. When you decide that your relationship can no longer continue as it is, you may choose to draft a separation agreement to determine how you and your ex-spouse will live your lives outside of the marriage. A separation agreement isn’t just an alternative to a divorce. Indeed, it’s possible to go ahead with a divorce or full dissolution of a marriage once your separation agreement has been drafted and signed. What’s more, by entering into a separation agreement, you may find that the divorce procedure itself is more amicable, straightforward and simple. The formation of separation agreements is a kind of negotiation that takes place usually outside of the court setting. The settlement document that we enter into after mediation sessions is in most instances a separation agreement. Most of my mediation couples choose to and can get an uncontested divorce immediately after entering into the separation agreement. Separation agreements can also be made outside of the mediation setting through lawyer to lawyer negotiations or lawyer to opposing party negotiations if the other side chooses to represent themselves. Like the mediation process during a divorce, the concept brings both parties together for a discussion of crucial concepts like equitable distribution, spousal maintenance, parenting time, and more. For many people, separation agreements feel a lot less stressful than a standard divorce. The court will not be involved in the preparation of the separation documents. What’s more, the couple will be able to maintain more control over their negotiation, without the consistent input of the courts. With the help of the lawyers, couples drafting a separation agreement can come to terms on what they would like to happen when their marriage ends. Not all divorces are messy. In some situations, both parties to a marriage agree that they have grown apart and that it is for the best for everyone involved that they go their separate ways. It may even be the case that the parties have discussed and resolved many of the issues that must be decided in a New York divorce proceeding, and have no interest in engaging in what is often a lengthy and costly legal proceeding. For these couples, New York divorce mediation may be a good alternative. In a typical New York divorce proceeding, each party is represented by an attorney who is looking out solely for the best interests of their client. And when the atmosphere is highly contentious, this may be the only option. However, in situations where the parties can work together on some level, a divorce mediator can help the couple work through all of the issues that must be decided in hopes of coming to a mutually acceptable solution. Divorce mediation is very often much faster and less expensive than a traditional divorce. Occasionally, a couple believes that a divorce should be uncontested, but the mediation process uncovers unanticipated issues or emotions leading to a less productive negotiating environment. Thus, a New York divorce is not truly “uncontested” until there is a binding settlement agreement that has been signed by both parties. Due to the non-binding nature of New York divorce mediation, couples who try divorce mediation and cannot come up with a mutually acceptable agreement can abandon the process and file for divorce in the traditional manner. Statistically, I can report that the vast majority of the couples that mediate with me resolve their issues and come to an agreement on all the required matters. How Do I Prepare for My Divorce Mediation Private Preliminary Planning Session? In my last blog I discussed the topic of adding the option of private sessions, upon agreement of couples working with me, in divorce mediation. Most of the time, when clients come to me in search of a trained divorce mediator, they follow a certain process that begins with a joint consultation session and continues into joint mediation meetings. This mediation strategy helps to maintain trust between all of the people involved in the mediation, because it eliminates the fear that either individual may be getting extra help from the mediator. Often, for mediation to be effective, the parties need to feel as though they are getting fair treatment from a completely objective third-party. As a divorce mediator, I strive to give all the people I work with that sense of comfort. However, sometimes, they may find it helpful to take a different kind of mediation route – such as one that involves preliminary planning sessions. What is Divorce Mediation with Private Preliminary Planning Sessions? Divorce mediation is one of the most popular forms of alternative dispute resolution. For couples who would rather avoid the stress associated with litigation, mediation ensures a simpler strategy based on mutual negotiation with the support of an objective third-party. As a trained mediator, I’m committed to providing that for my couples in divorce mediation for Nassau County, Suffolk County, Long Island and Queens. I want everyone to feel as comfortable as possible in their mediation sessions. Most of the time, this means meeting with both spouses simultaneously for a joint initial consultation session, where we discuss the nature of their case, and what kind of process might follow. However, there is an alternative option recommended by some practitioners, which can work for certain parties. Preliminary planning sessions allow both the mediator and each spouse to meet for private meetings, after the free initial consultation, but before the full mediation experience begins. These one-on-one sessions will enable the mediator to create a rapport with each client individually. Under What Circumstances Will a Court Modify a Child Support Agreement? In a recent post, we discussed New York child support agreements and how the parties to a divorce may be able to agree to the payment and amount of child support rather than have the court make that determination. We also discussed a situation in which the court was likely to set aside a child support agreement. This week, we will take a more in-depth look into how courts view New York child support agreements. As a general matter, a properly drafted New York child support agreement will remain enforceable over time. However, in reality, circumstances and relationships change, and it is not uncommon for either party to an agreement to ask the court to modify or set aside the agreement if they believe that it is no longer fair to them or to the children subject to the agreement. The agreement was unfair or inequitable when it was made. Can a Divorce Mediation Child Custody Agreement Later Be Modified? Over the past few weeks, we’ve taken a look at the process of New York divorce mediation, in which parties work together to come up with an agreement regarding many issues that would otherwise be decided by a judge. Last week, we discussed the fact that a New York divorce mediation can include terms that cover the custody of minor children, and provided an example where the court upheld a parties’ agreement although it was later contested by one of the parties. It is important to note, however, that courts retain discretion in determining New York child custody issues. So, while the parties to a New York divorce are free to come to an agreement between themselves regarding child-custody matters, if the court determines that the parties’ agreement is not in the best interest of the children involved the court can set aside the agreement. There are two common ways this situation arises. 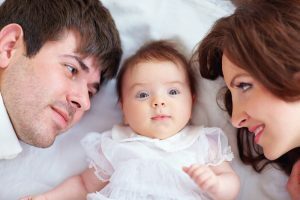 The first is during the judge’s initial review of the parties’ agreement and the second is if one of the spouses requests a modification to the child-custody agreement after the court has approved the agreement and the divorce is final. 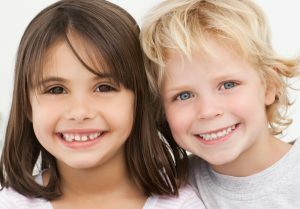 Once a child-custody agreement is approved, courts will not modify that agreement unless there is a substantial change in circumstances and the party seeking modification can show that modification is in the best interests of the children. A recent case illustrates a situation in which a court found that each of these elements was met and, thus, modified the agreement. When Will Courts Uphold New York Child Custody Agreements from Divorce Mediations and elsewhere? In New York, the parties to a divorce have the option to enter into a mutually acceptable separation agreement if they can agree on the terms of the divorce. For the most part, courts will uphold the terms of valid New York separation agreements. However, the court retains ultimate jurisdiction over specific issues. For example, when it comes to determining New York child custody issues, the parties are free to discuss the issue and come up with an arrangement that works for both parties. However, under New York family law, the primary factor courts consider when deciding child custody issues is what is in the best interest of the children. Thus, if a separation agreement provides for a custody arrangement that is not in the best interest of the children, the court may not enforce that provision of the agreement. Similarly, an agreement as to the physical location where the child will live is also subject to the court’s “best interest” analysis. Can the Parties to a New York Divorce Mediation Provide Their Own Agreement Regarding Child Support Payments? While some New York divorces are long, drawn-out, and contentious affairs, others are much more amicable such as when the parties use divorce mediation as the process. In the latter type of divorce, it is not uncommon for the parties to agree on many of the issues that a court would otherwise need to decide. Among matters that are commonly worked out between divorcing spouses are the division of marital property and the payment of spousal support. 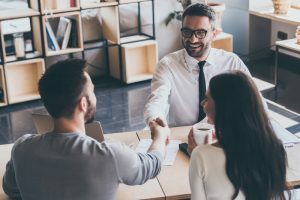 Some couples will also be able to agree on the payment and amount of child support with their divorce mediator or through settlement negotiations. However, because the right to receive child support technically belongs to the children for whom the support benefits, courts retain the final decision over a New York child support agreement. Under New York Domestic Relations Law section 240, the parties to a child support agreement must aver that the agreement provides the correct amount of child support. If, however, the mediated divorce agreement or settled agreement between the parties deviates from the basic child support amount that would otherwise be appropriate, the parties must explain what the necessary amount of child support would be and why there is a deviation by agreement. Importantly, this cannot be waived by either party.